Department responsible for heavy vehicle regulation in the US says hearing-impaired truckies should be allowed on the road. 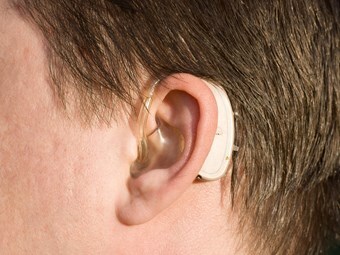 The FMCSA's ruling helps hearing impaired truck drivers who cannot speak. The agency tasked with regulating heavy vehicles in the United States has stepped in to prevent hearing-impaired truck drivers from being kept off the road. A ruling from the Federal Motor Carrier Safety Administration (FMCSA) says hearing-impaired drivers should be allowed behind the wheel if they are capable of reading and writing in the English language. Federal regulations stipulate that interstate truck drivers must be able to read and speak English. The FMCSA says some hearing-impaired truckies permitted to drive are being denied their licence because they cannot speak. "Some hearing impaired drivers have advised the National Association of the Deaf that they have been told by State licensing agency officials that they do not meet the English language requirement essentially because they do not speak," the FMCSA says in a ruling. "The English-language rule should not be construed to prohibit operation of a commercial motor vehicle (CMV) by hearing impaired drivers who can read and write in the English language but do not speak, for whatever reason." The ruling applies to truck drivers who have gained an exemption from the FMCSA’s hearing standard. "The absence of an ability to speak in English is not an indication that the individual cannot read and write in English sufficiently to communicate with the general public, to understand highway traffic signs and signals in the English language, to respond to official inquiries, and to make entries on reports and records," the FMCSA says. The missive comes following the FMCSA’s announcement it is considering applications from 33 people for an exemption from vision requirements. It says the applicants are unable to meet the vision requirement in one eye for various reasons. "The exemptions will enable these individuals to operate commercial motor vehicles (CMVs) in interstate commerce without meeting the prescribed vision requirement in one eye," the FMCSA says in its written announcement.